AllRefer.com > Pictures & Images > Diver and a large jellyfish at Gray's Reef. Diver and a large jellyfish at Gray's Reef. 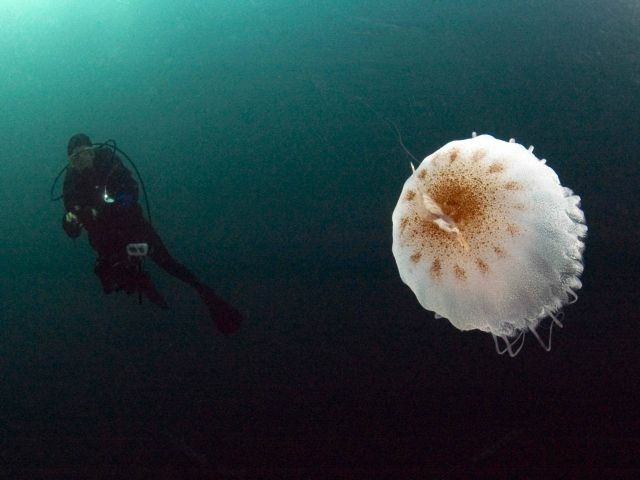 Diver and a large jellyfish at Gray’s Reef.